As temperatures start to warm, your family may notice that indoor allergens begin to increase. 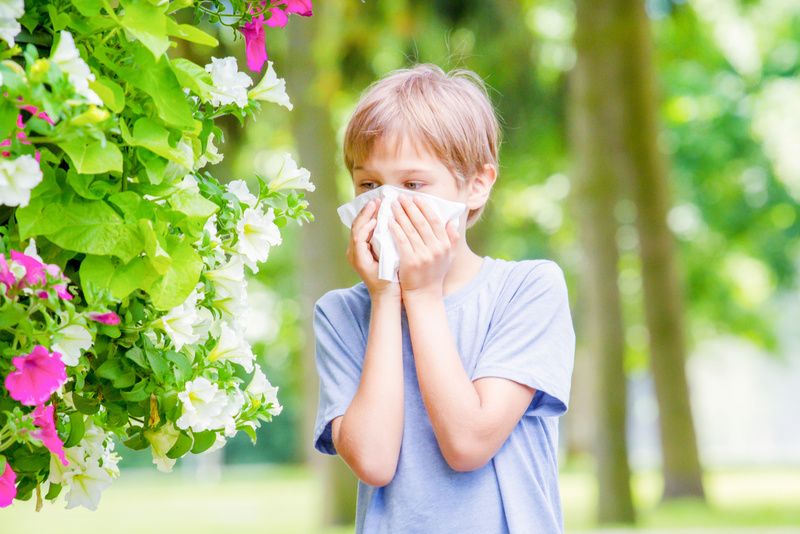 Even those who don’t have allergies and aren’t as sensitive to the change in seasons may be affected by things like house dust, pollen, mold spores, and the numerous plant-based allergens that are brought into the house during the springtime. Soft furniture (allergens love to stick to soft surfaces and carpet). Keeping these areas clean and wiping up moisture when you notice it can help to reduce indoor air allergens. If you have pets, brushing them outside regularly can help to get any allergens that they are carrying off of their fur and out of the home. Taking off shoes and jackets at the door can also help to stop allergens from being carried throughout the home. Vacuum and dust regularly. You won’t be able to completely keep allergens out of your home, which means that the next best thing is regularly vacuuming and dusting to remove allergens that have accumulated. This is especially true for those who have pets who are regularly traveling from outside to in. Another way to remove allergens is to make sure that filters in your HVAC systems are replaced routinely. Consider the use of an indoor air cleaner. An air cleaner can have a very positive effect on your indoor air quality, and could truly help you to breathe easier, especially if you or anyone in your home suffers from asthma. At Van Drunen Heating & Air Conditioning, we offer installation and servicing of some of the best indoor air cleaners on the market. At Van Drunen Heating & Air Conditioning, we want your family to be as healthy as possible. We offer filter replacement and other HVAC services, as well as indoor air cleaner installation and maintenance. To learn more about our services or schedule an installation or repair today, please reach out to us at 708-339-6444 or send us a message today.